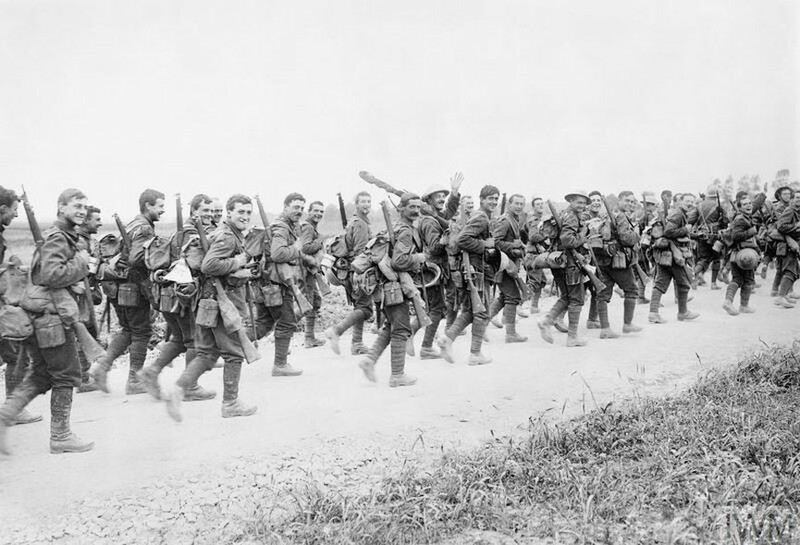 When the War Came is an oratorio for children’s choir, narrator, and orchestra, written in commemoration of World War One, written by Jools Scott and Sue Curtis. 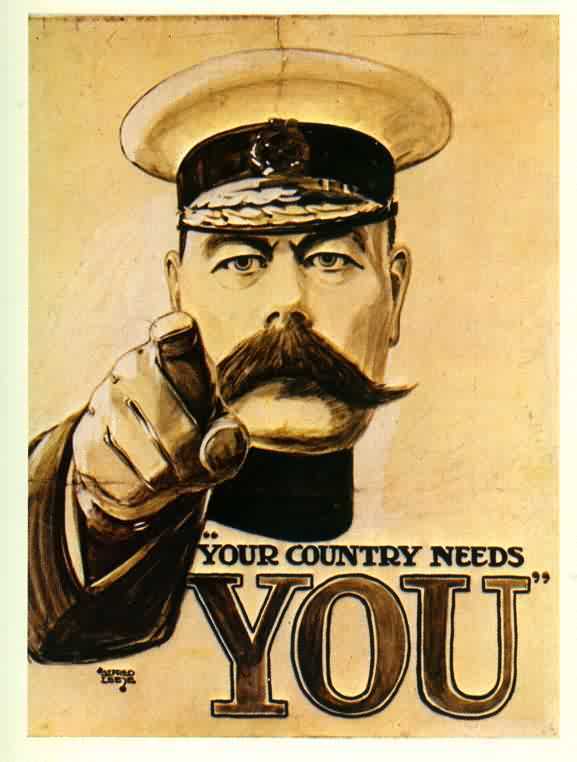 Lord Kitchener Wants You is a 1914 advertisement by Alfred Leete which was developed into a recruitment poster. It depicted Lord Kitchener, the British Secretary of State for War, below the words “WANTS YOU”. Kitchener, wearing the cap of a British Field Marshal, stares and points at the viewer calling them to enlist in the British Army against the Central Powers. The image is considered one of the most iconic and enduring images of World War I. A hugely influential image and slogan, it has also inspired imitations in other countries, from the United States to the Soviet Union. When The War Came tells the story of the war through the lives of six children from a small English village. The songs take them from childhood to work in the mill and the fields, to the rumours of war and then to the excitement of joining up and leaving for the front. The boys train as soldiers, the girls as nurses, except for Mary, who stays behind to run the farm for her mother. The nightmare in the trenches ends when those who survive come home. The end of the oratorio reminds us that the grief of this village was echoed across the world. Following the success of our First World War oratorio The Cool Web it an interesting challenge to write a WW1 piece for children. Our aim was to make the piece effective and powerful, whilst not being too explicit for the children. Sue Curtis and I both believe that writing for children should not dumb down the subject matter, however, WW1 was the greatest atrocity the world has ever seen.. so we still had to be a little careful with the imagery used. When the War Came was commissioned by the Bath Abbey Schools Singing Programme, and first performed on June 12th 2018 at Bath Abbey by the Bath Abbey Schools Singing Programme Choir, the Bristol Ensemble, and Jon Monie as Narrator, conducted by Shean Bowers. Nurses of the First World War. 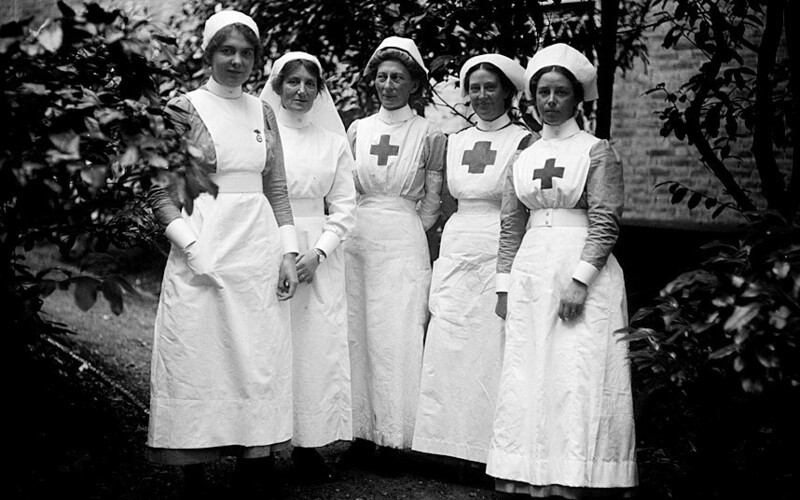 September 1915: A group of nurses at Hamworth Hall in the U.K., which was serving as a Red Cross Hospital during WWI. When The War Came was performed again, with the same performers, at Bath Abbey, by popular request, on November 9th 2018.